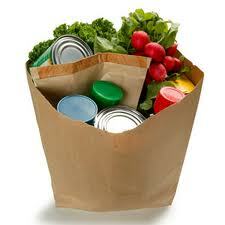 Food Storage Recipes and Food Storage Videos: How's the 30 Day Challenge Coming? How's the 30 Day Challenge Coming? Last week I put out a 30-day challenge to encourage you to get a head start on your food storage inventory for January. How are you doing? Well, I'm taking the challenge too, and have ordered my honey, organized my food storage room, and am now making my list of fill-ins that I can focus on for the next few months. I find that by simply adding 2 or 3 fill-in items to my weekly grocery list (like 3 bottles of soy sauce, 4 jars of peanut butter), etc., it becomes a more doable undertaking than filling all my gaps in at the same time. In the summer, I'll brave the caselot sales for my cases of beans, my baking supplies, and my bulk grains, but early in the year, I find filling in the smaller items just makes sense. Share with us your method, and what works for you! To review the 30 day challenge, look at our article below, and let's go to work together.